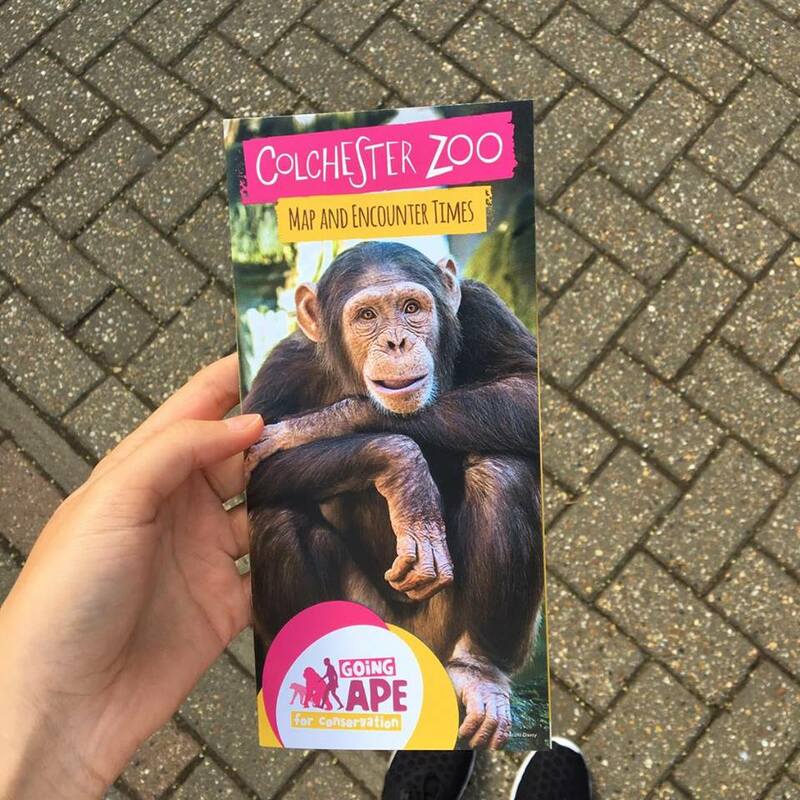 As it was the last bank holiday weekend of the year this weekend, Dan and I decided it was high time to head back to Colchester Zoo. We haven't been together for three years now, ever since the first time Dan came to visit in the first year of uni! 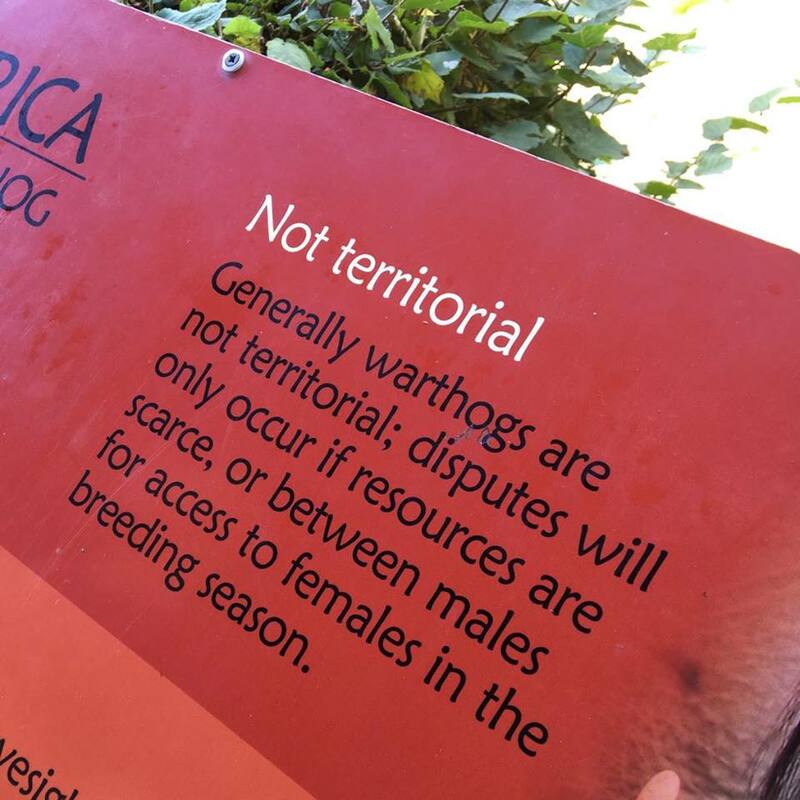 Colchester Zoo has been voted the second best zoo in England, and I can completely understand why. It's massive, they have a huge range of animals and I can really sense that they care about conservation too! We were the crafty ones, heading straight to the back of the zoo as soon as we arrived. It was crazy, because we were basically the only ones there for a good half an hour. We saw so many animals in that first two hours including a Cheetah, Hogs, Pigs, Elephants, Giraffes and even goats! I loved the fact that they have really exotic animals mixed in with ones that come from a bit closer to home. We got the chance to have a "walk through" experience with the wallabies and the goats which was so cool. 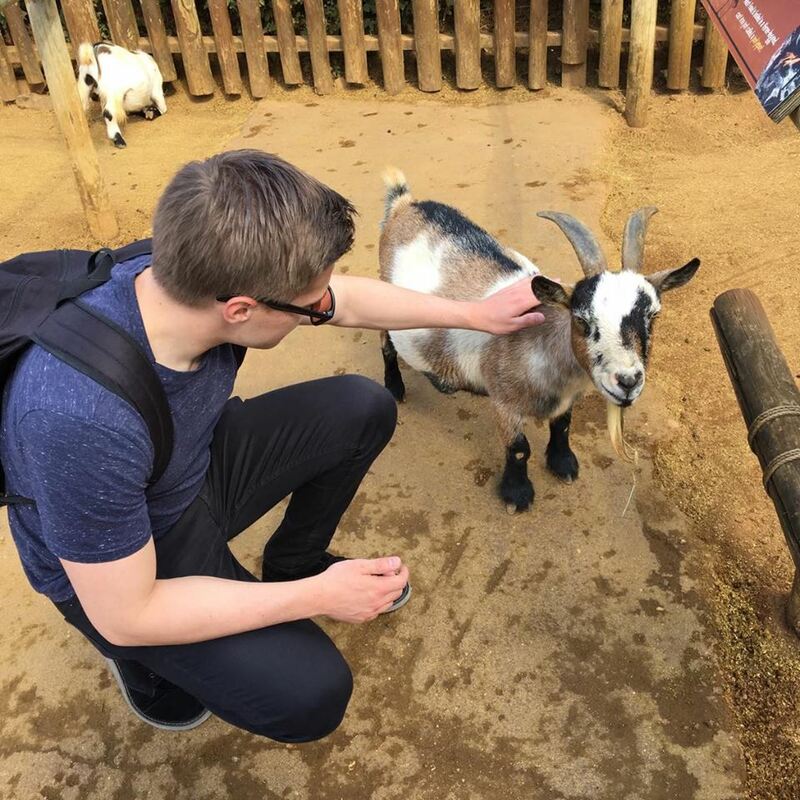 It was nice to stroke the animals, and learn a bit more about them! Colchester Zoo includes a lot of information about the animals, in a very interesting way. Sometimes when you go to attractions, there is a lot of text and information. However, Colchester include the most interesting facts about each animal - you learn a lot because you don't feel the pressure to read paragraphs about each animal! They stuck to a theme - where did the animal originate, what type of food did they eat, and also are they extinct? I really liked that there was a huge focus on conservation. 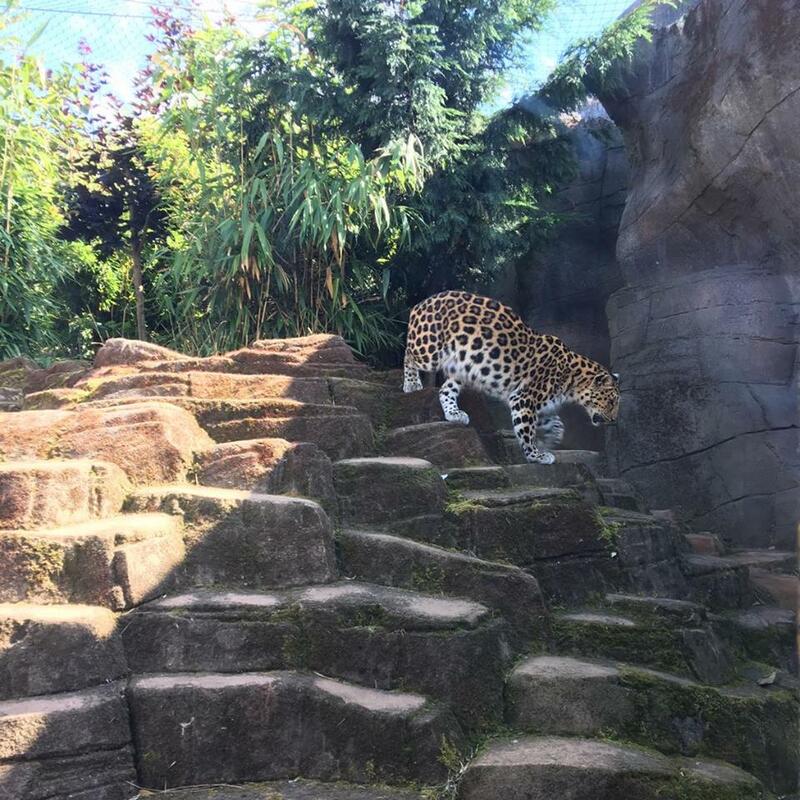 Whilst we were there, we went to one of the animal encounters - for the Amur Leopard! They are such beautiful animals, and it was so amazing to see them being fed. One of the main focuses of this talk was again conservation. We learnt that there are about 75 of these gorgeous animals in the wild - and that they were hoping to breed some leopards in the zoo itself. 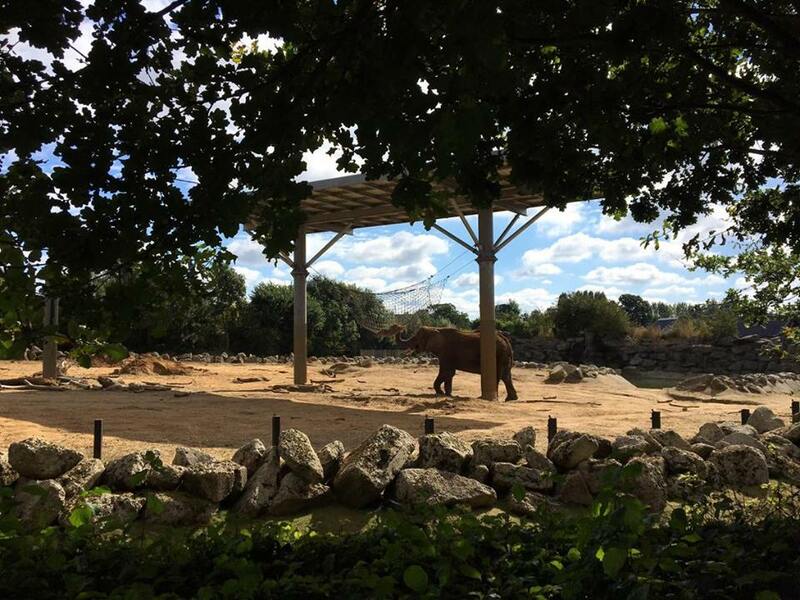 Between opening time, and 2pm, the male and female enclosures were "open" to one another. There is only a mesh material separating them, which gives them a chance to get to know one another. Once the zoo staff think that they are ready, the two leopards will be given a chance to breed, with the eventual aim of them being released back into the wild. The highlight of the day for me though was definitely feeding the Giraffes! I've never done anything like this before, probably because I have been too nervous - but this was so cool. Whilst it was really busy, I didn't feel too pressured to feed the Giraffe and run. They are such magical animals, and so pretty too. I'm so pleased I decided to feed one! We had such an excellent day at the zoo, and we've promised each other not to leave it as long again! You can actually get your tickets with Tesco Club card for only £7.50 in vouchers, instead of paying the full price which I believe is £22.99 - an absolute bargain! Have you ever been to Colchester Zoo? Colchester zoo is brilliant! Just up the road for me so Im lucky enough to visit quite often.